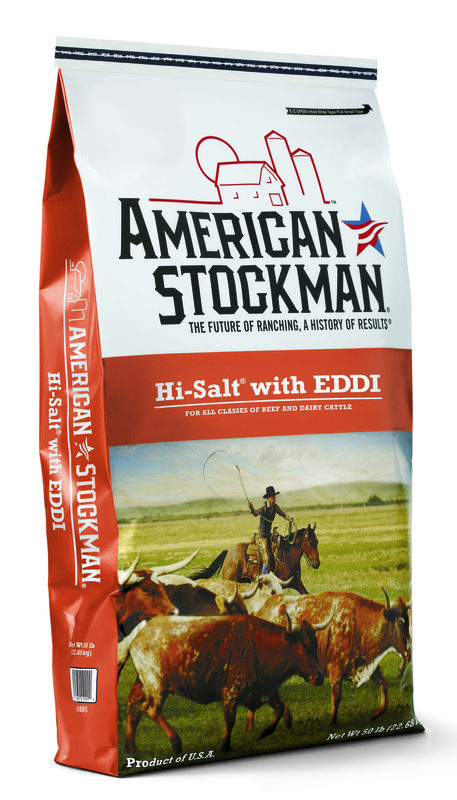 American Stockman Hi-Salt with EDDI contains twice the zinc, three times the manganese or iron, and quadruple the amount of iodine of standard trace mineralized salt. The source of iodine in Hi-Salt is organic, which has been found to be more effective in many cases. 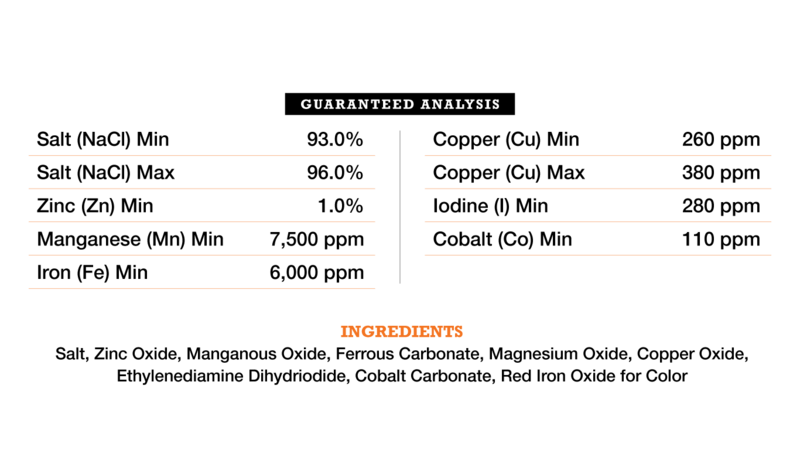 It also improves feed utilization, animal growth and optimizes reproduction. Hi-Salt is appropriate for all classes of beef and dairy cattle. Caution: Do not feed to sheep - contains Copper.